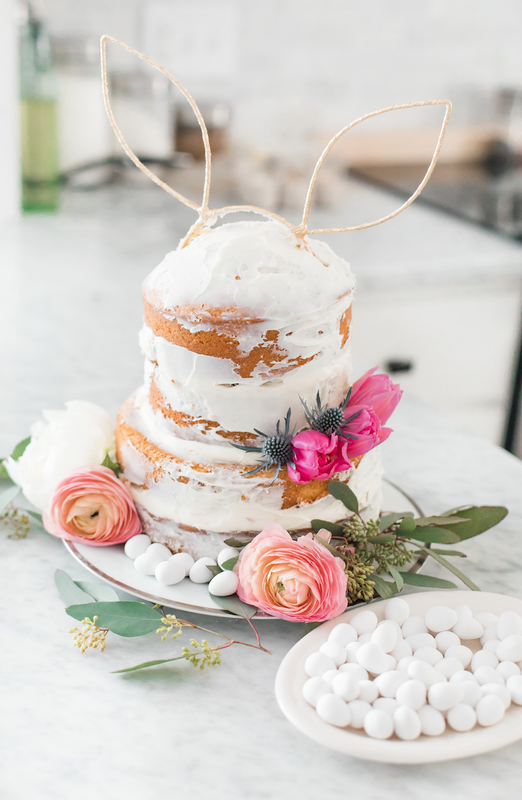 An Elegant, Modern Easter Brunch — The Modern Life Mrs. I'm all about simple tablescapes that look anything but simplistic! 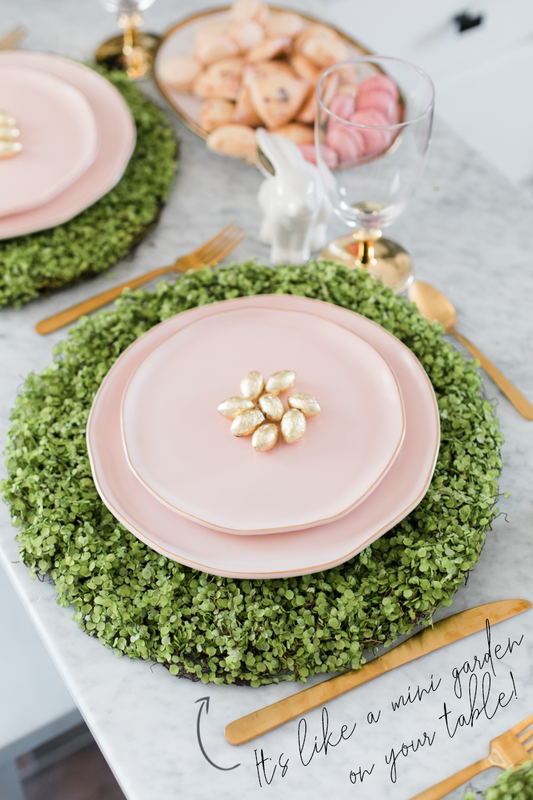 These garden-style placemats from World Market take this whole tablescape to a new level...I'm obsessed with them. The moment I saw them I knew they had to be the focal point of this Easter brunch. The touch of gold throughout really takes this from "ohhh that's cute" to...."THAT IS GORGEOUS!" The pink plates with gold brim, gold stemmed glasses, and gold silverware are all Hobby Lobby finds. LOVE me some Hobby Lobby! Let's not forget about the gold wrapped candy eggs from the Dollar Store––can't go wrong with cost effective edible accents!